If you are doing any videography, a jib (or a crane) is probably the third piece of gear you will buy (after a camera and a slider). Jibs can bring huge production value to your videos. See this tutorial by J. P. Morgan for example. Alas they don’t come cheap. 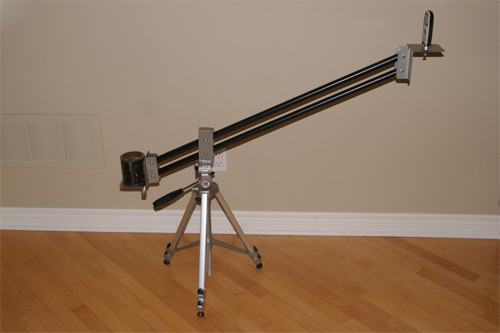 A small starters jib will set you back about $270 and a production monster like this one will be about a left kidney. I just wish someone will have plans for a small and affordable crane. Lucky me you. Videographer Dan Colvin from Unitips has a tutorial just like this. 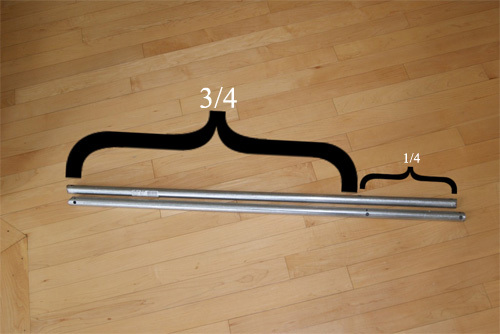 2 hollow aluminum rods – The length of the rods will determine the length of the jib with the pivot being at a quarter of the length. Lots of bolts, buts and washers. Drill-press – I know this is not a common tools, but the location and symmetry of the holes is crucial for this to work. (you can get the press with the money you save by not buying a jib, besides, it’s the only tool you really need for this). 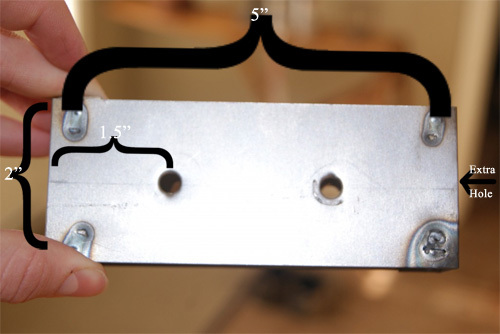 Depending on your local hardware store you may be able to get such brackets ready, join a few smaller brackets or make them yourself from scrap metal. 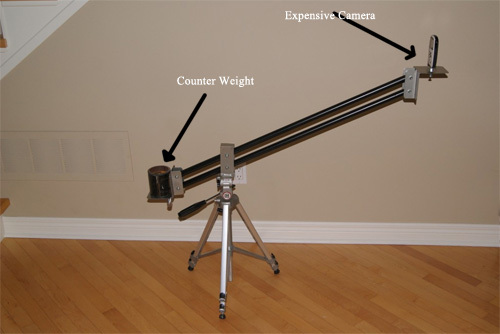 The size depends on how long/big you want to make your jib, and on the width of the aluminum pipes. We are going to use 3/4″ pipes that are 38″ long. 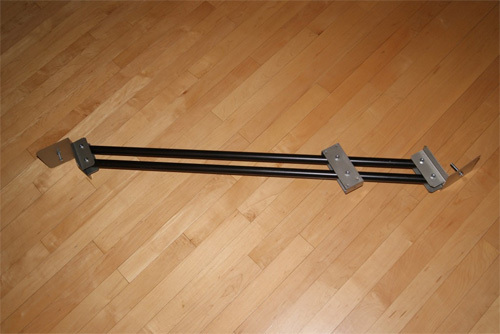 Each end-bracket has a plate (either for camera or counter weight) and two fins for mounting the rods. Drill a hole at the center of each plate. Those holes will be used to place 3/4 bolts that will act as a mini tripod. The last hole goes on the base of the middle bracket so it can attach to a tripod. 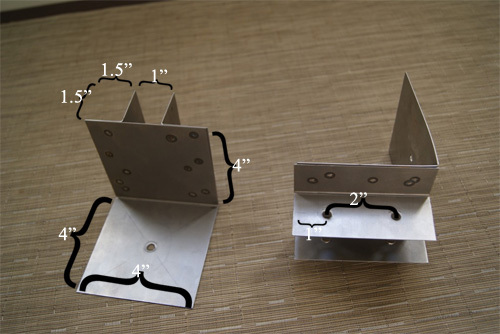 Drill holes that are 2″ apart at the fins and at the middle bracket. Those holes will hold the bolts that hold the aluminum rods. To prepare the pipes, make 3 pairs of holes on each pipe, 2 pairs of holes at each end, and one pair of holes at 1/4 of the way. Optionally, round the end of the pipes. Attach the parts as shown in the image. Use the hole in the middle bracket to mount the jib on a tripod. Balance the other end with a pickles can. If the written steps are confusing you, there is a video you can follow.